LOS ANGELES -- Federal immigration agents detained 650 people nationwide, including 16 in the Los Angeles area, in a four-day operation last week targeting families and unaccompanied children who had entered the country illegally, officials said. Operation Border Guardian/Border Resolve targeted people who entered the United States as what was described as "unaccompanied alien children and family units." The individuals targeted had already been ordered by a federal judge to leave the country and had no appeals pending, according to U.S. Immigration and Customs Enforcement. "Illegally entering the United States as a family unit or UAC does not protect individuals from being subject to the immigration laws of this country," said ICE Acting Director Thomas Homan. "I urge anyone considering making the dangerous and unlawful journey to the United States: Please do not take this risk. Ultimately, if you have no basis to remain in the United States, you will be identified, apprehended and returned to your home country." 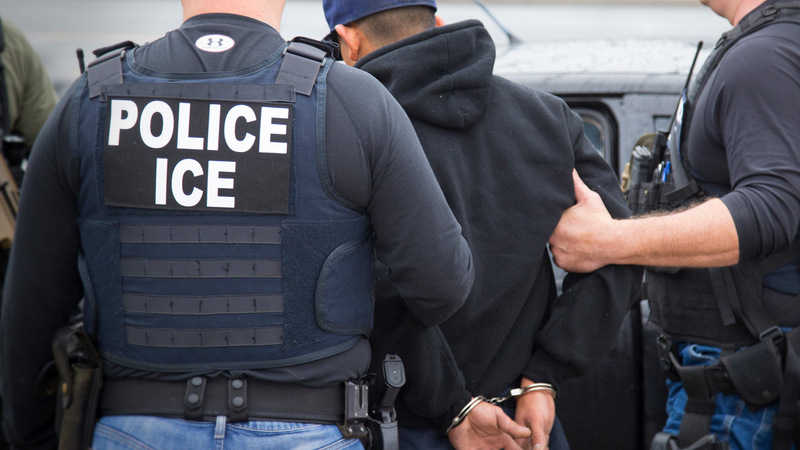 ICE said the operation was the continuance of a similar effort which took place under the Obama administration in January and February 2016, which they said was a response to an increase in families and UACs from Central America illegally entering the country. ICE said of the 650 arrests, 73 were members of family units and 120 were unaccompanied alien children. The remaining 457 had not been specifically targeted, but were encountered as agents made the arrests. ICE also said 130 of the 650 had criminal convictions beyond their immigration violations, for crimes that included DUI, assault and battery, drug possession, domestic abuse and sexual assault. The unaccompanied alien children are all now at least 18 years old or are 16 and have criminal backgrounds and/or gang ties.